Feel like home whilst you travel to the Garden City. 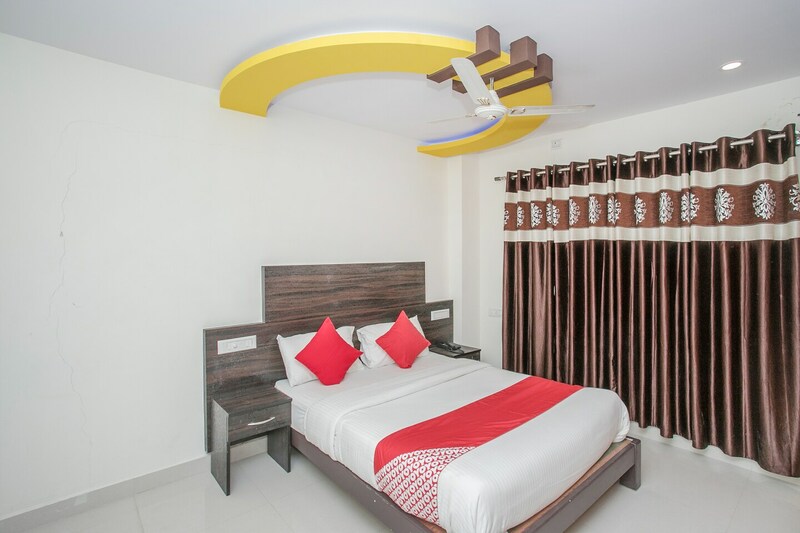 When you are travelling to the Garden City of India and looking for quality accommodation without burning a hole in your pocket, check in to Mathrushree Residency. Each of these rooms come with modern furniture and amenities ensuring a comfortable stay of the guests. The flowy curtains and the false ceiling add a lively touch to the rooms. Complimentary WiFi and branded toiletries are provided to guests during their stay at Mathrushree Residency. Hotel facilities offered include an elevator for easy access, in-house laundry service, on-site parking space, CCTV cameras, and power backup. Closest attractions are Iskcon Bangalore, National Gallery of modern Art and Jawaharlal Nehru Planetarium.